“The expectation is to create awareness about the fact that golf can be accessible,” Rishi said. Indian golfer Rishi Narain firmly believes that soon there will be a change in the people’s perception of golf that is considered to be the game of the rich and elite class only and the India Learn Golf Week would make a difference. In an exclusive interview to thestatesman.com, Rishi, Asian Games gold medallist and former national coach, spoke on the aim, expectations and inspiration behind the ILGW initiative of the Golf Industry Association (GIA). “The expectation is to create awareness about the fact that golf can be accessible,” Rishi said, hailing the week-long programme to be held from September 25 to October 1. “If 20,000 people come to the golf clubs across the country and learn how to play golf, then each will tell at least 10 other people. By this, there will be two lakh people who get to understand more about golf,” he added. Eyeing to reach one million people in five years down the line, the GIA has partnered with the Indian Golf Union (IGU), the Women’s Golf Association of India (WGAI), the National Golf Association of India (NGAI), Golf Course Superintendents and Managers Association of India (GCS &MAI) and the globally acclaimed Professional Golfers Association (PGA) of America. “Our expectation is that through initiatives like this we can introduce golf to maybe one million new people in next five years,” Rishi explained. Rishi, one of the ILGW supporters, called amateur golf the ‘bread and butter’ while comparing it with professional golf. “Amateur golf is the bread and butter of golf. Professional golfing is like the cream on the top. The bread and butter golfers are the amateur golfers; they are the ones we need to increase in numbers because there are still many golf clubs in India, where the ground is empty during the week. 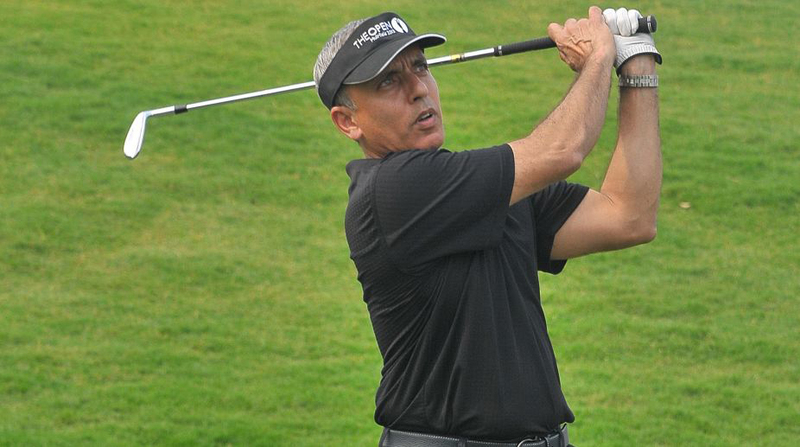 So that a lot more people can utilise the ground to learn golf,” Rishi added. Discarding the perception that golf is an expensive sport, Rishi said the learning programme will bring transparency and people will get to know how exactly it costs to play golf. “When these new people go to the golf clubs, they can meet the coaches and understand how they can access. One of the things that coaches are going to tell them is what does it really cost to learn golf. How can they have access to the game. A lot of barriers will be broken, where people might realise that it is not as difficult and expensive as they think it is. It will change the perception of golf,” Rishi said. Five golf bodies, 28 golf clubs across India and Asian Tour golfers Gaganjeet Bhullar and Rahil Gangjee came together on Monday to lend their support to the India Learn Golf Week, an initiative which aims to boost the growth of golf in the country. During the ILGW, the participating clubs will assign three to five coaches for each of the seven days who would give introductory golfing lessons from curricula approved by the PGA. Each coach will have five students in a session and will conduct five sessions in a day.